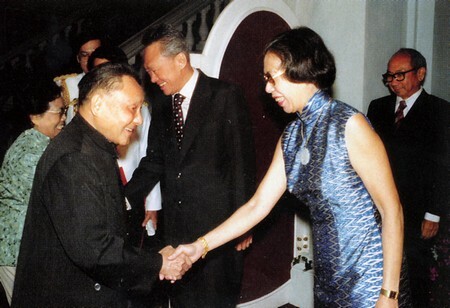 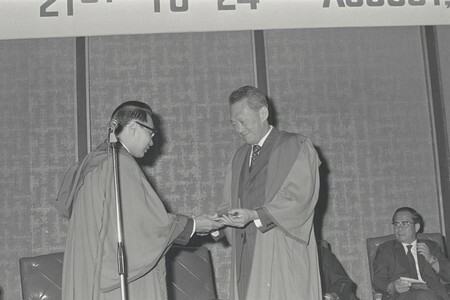 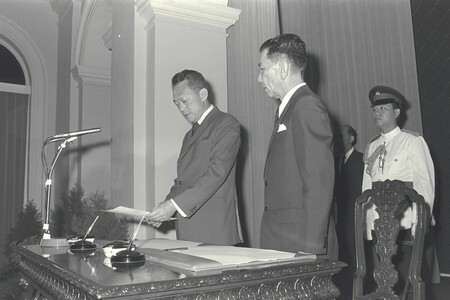 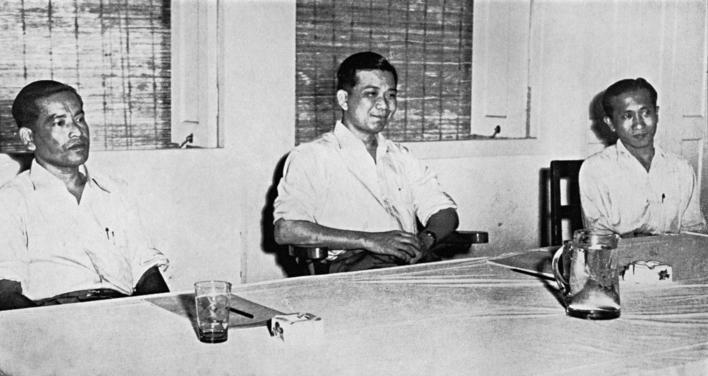 Mr. Lim Chin Siong (Left) was announced the secretary-general of the Barisan Socialis, his first post in a political party since his release from detention in 1959. 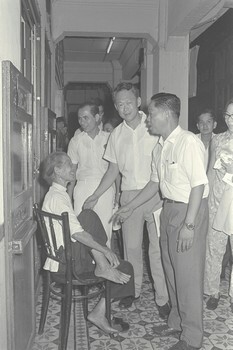 PM Lee (center) has weighed in on a recent debate over the legitimacy of a 1963 crackdown on Communists. 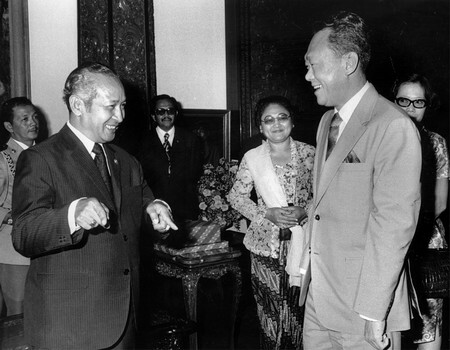 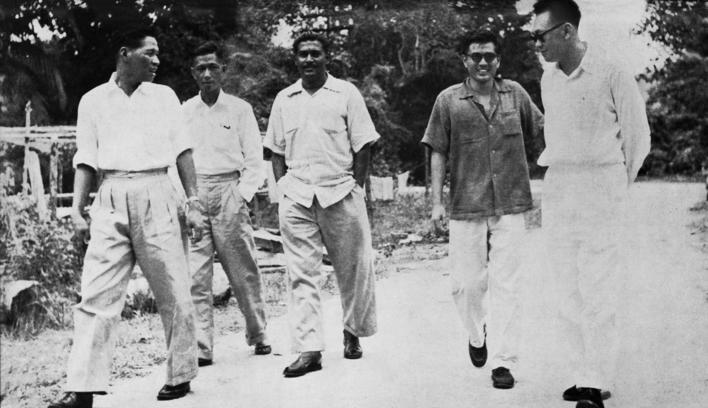 Chin Peng (right), the young communist leader. 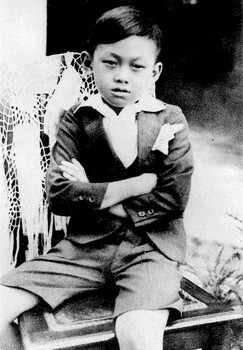 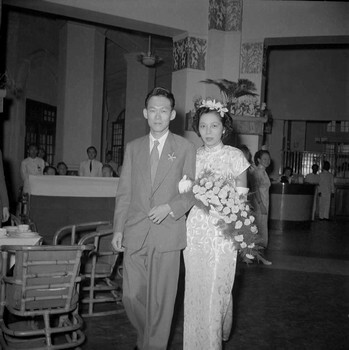 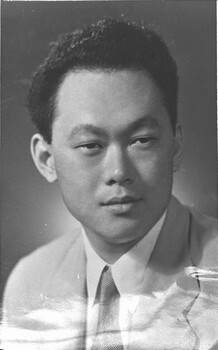 He joined the Communist Party of Malaya at 15 and became its leader at 23. 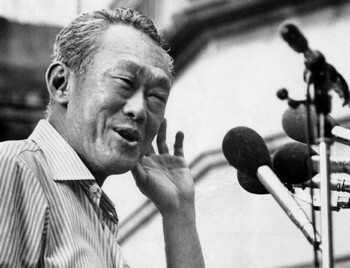 Prime Minister Lee Hsien Loong has weighed in on a recent debate over the legitimacy of a 1963 crackdown on Communists, saying that British documents and first-person accounts by former Communist Party of Malaya (CPM) leaders confirm the extent of the Communist United Front in Singapore. 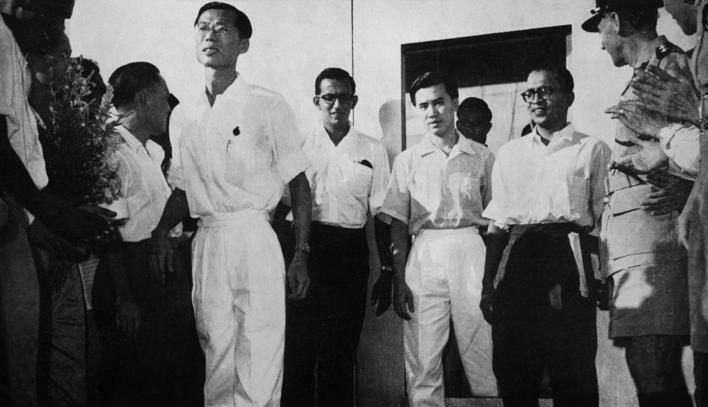 They also "leave no doubt" that the Barisan Sosialis was formed at the CPM's instigation, and that detained Barisan leader Lim Chin Siong was a Communist cadre, Mr Lee said yesterday. 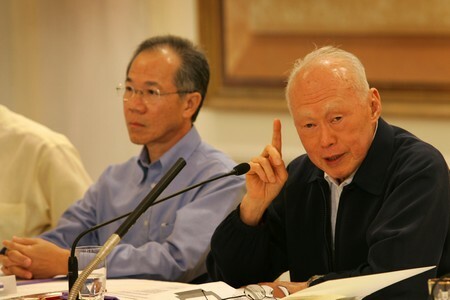 His comments in a Facebook post came two days after the Government's detailed reply to a commentary by former Barisan assistant secretary-general Poh Soo Kai which questioned the legitimacy of the crackdown, codenamed Operation Coldstore. 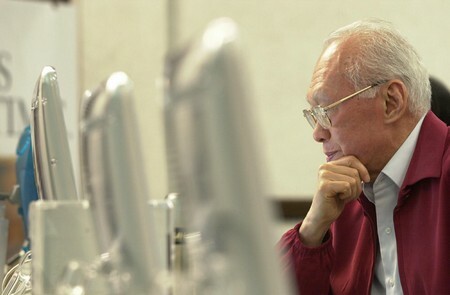 Dr Poh's commentary and the Government response were carried in the Australian National University's New Mandala website. 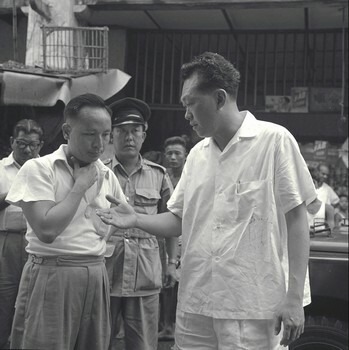 Mr Lim and Dr Poh were among 113 Communists and supporters arrested and detained without trial during Coldstore - carried out when Mr Lee Kuan Yew was prime minister. 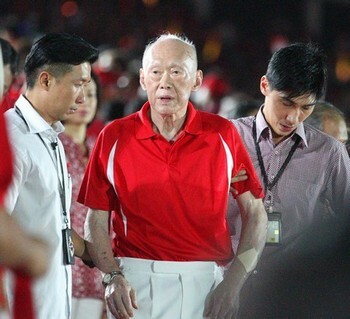 Dr Poh said the arrests were directed at the senior Mr Lee's political opponents. 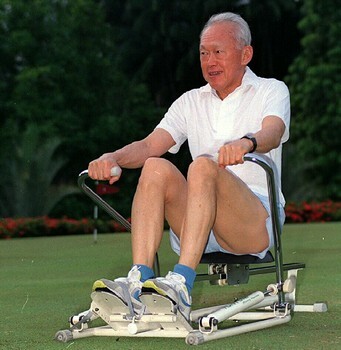 PM Lee's post included a link to the Government's response. 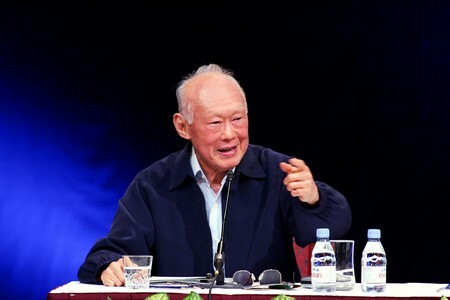 He said it was based on evidence from the British archives and CPM sources - all of which confirm that Mr Lee Kuan Yew told the truth. 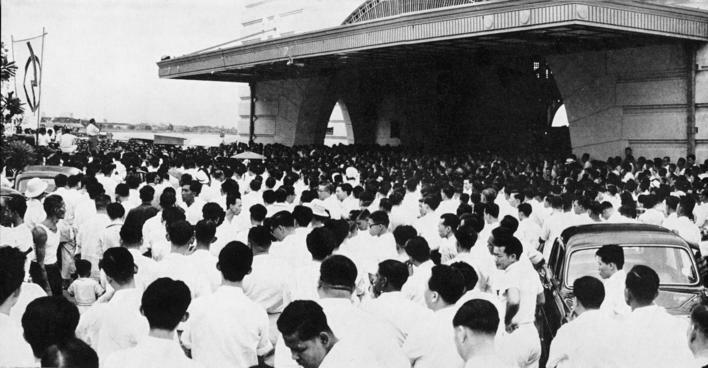 "But a few hard-core ones still deny these historical facts. 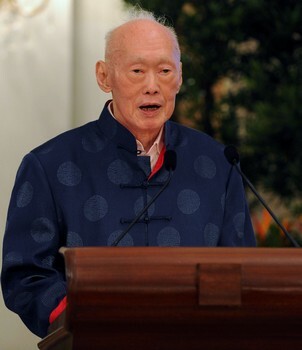 They don't want to admit that they had fought on the wrong side, and that luckily for Singapore they lost," he said. 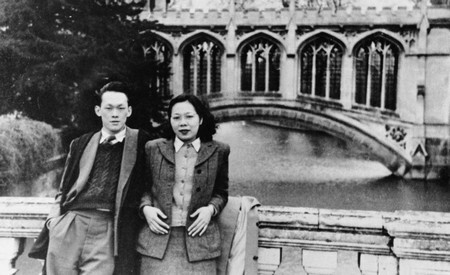 "Some 'revisionist' historians make this argument too. 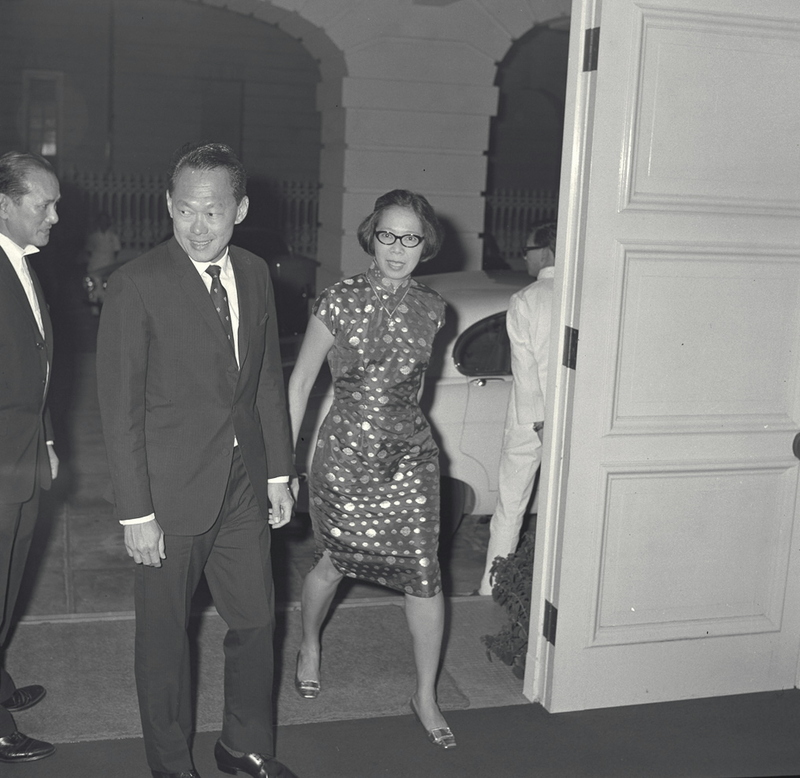 "One motivation: cast doubt on the legitimacy of the PAP government, not just in the 1960s, but today." 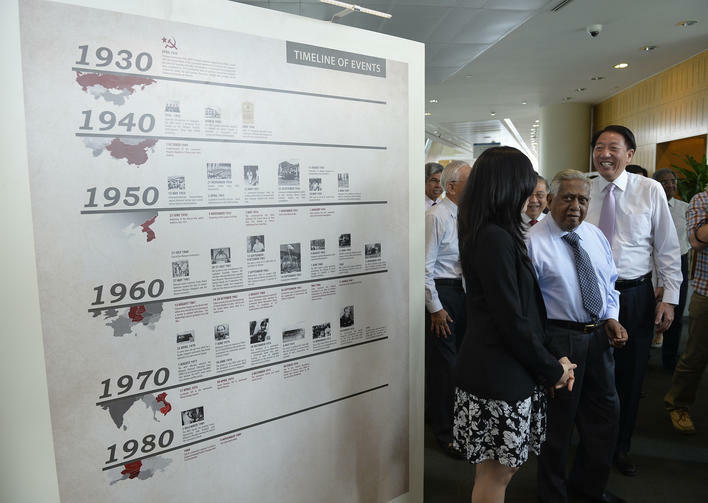 PM Lee said he visited an exhibition at the National Library in October, held in conjunction with the reprint of Battle For Merger, a book of Mr Lee Kuan Yew's radio talks in 1961. 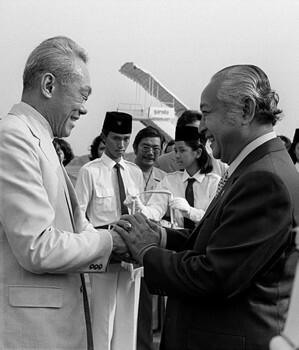 These explained what the fight against the Communists was about, and why Singapore needed a merger with Malaya. 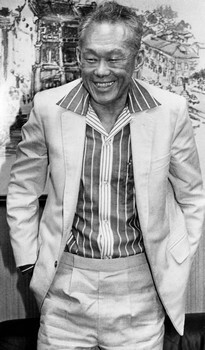 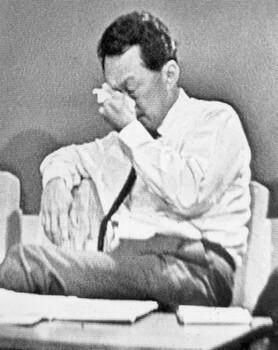 Dr Poh criticised the reprint, describing it as a "Cold War diatribe" and aimed "implicitly to justify Coldstore". 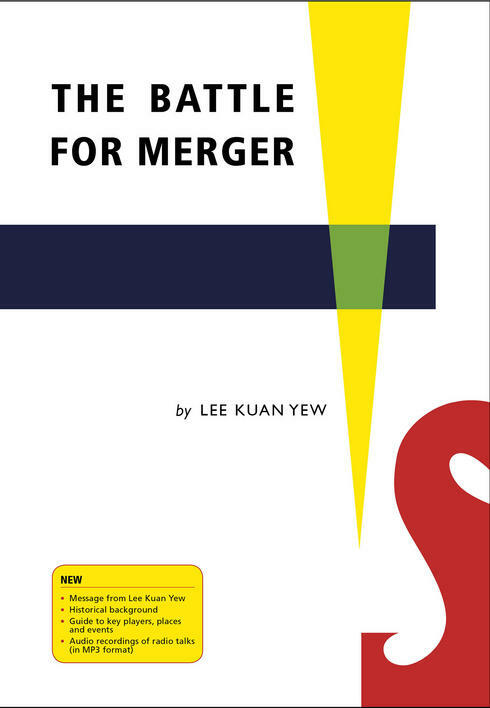 "The Battle for Merger", a compilation of Lee Kuan Yew's 12 radio talks made in 1961 to win support for merger with Malaysia has been reprinted as a book. 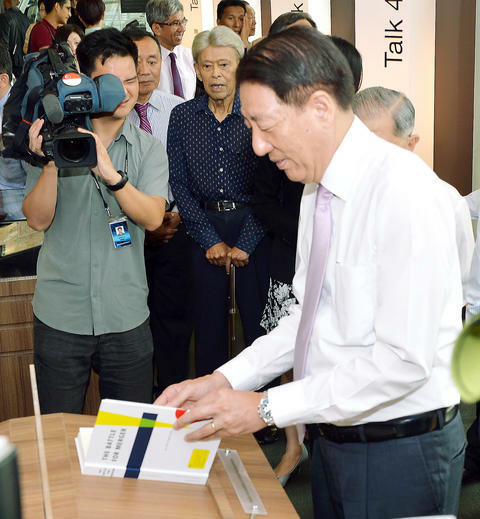 First published in book form in 1962, the re-printed edition was launched on Oct 9 by Deputy Prime Minister Teo Chee Hean at the National Library. 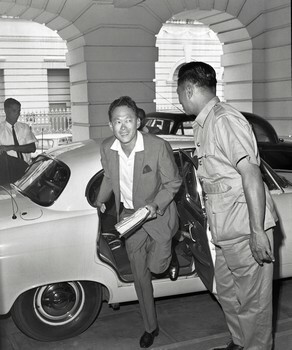 The reprint includes a new four page foreword by Mr Lee, DVD recordings of the radio talks and a timeline of major events. 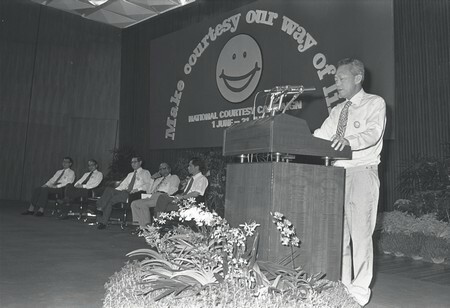 Former Cabinet minister Mr Othman Wok and former President S.R. 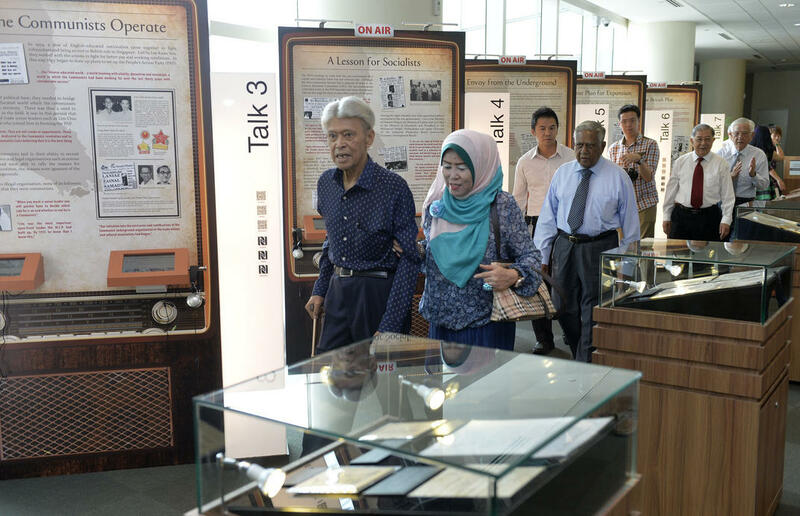 Nathan visit an exhibition accompanying the book, which will be held at the National Library until Nov 30. 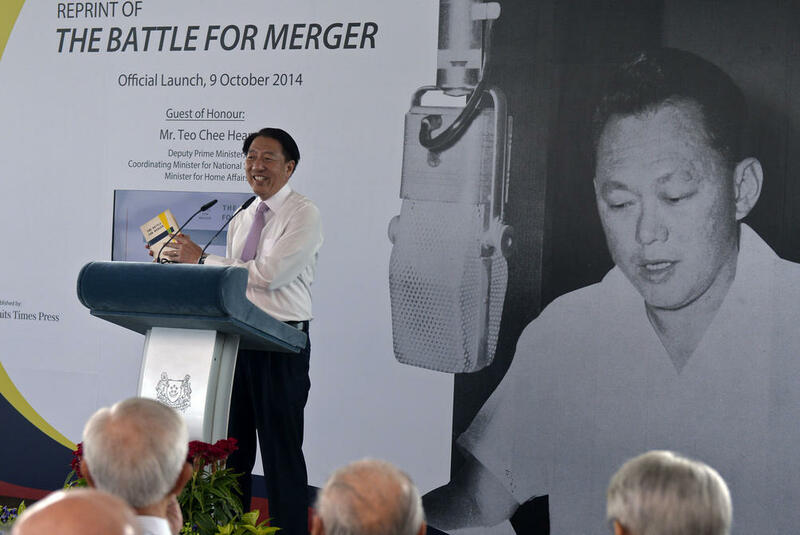 Speaking at the launch, DPM Teo said that below the surface of the political struggle for merger with Malaya was "another deeper, more momentous, more dangerous battle - that between the communists and the non-communists in Singapore." 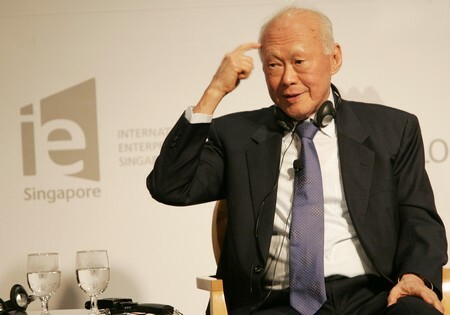 He also said: "The re-publication of the book will provide a reality check to the revisionist views. 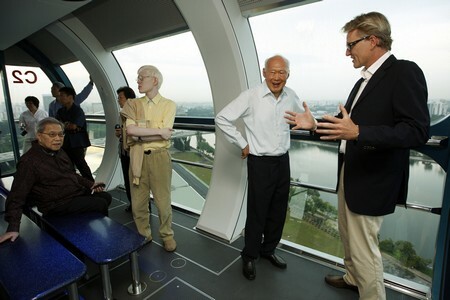 I hope it will awaken interest among younger Singaporeans in the events of this crucial period in our history." 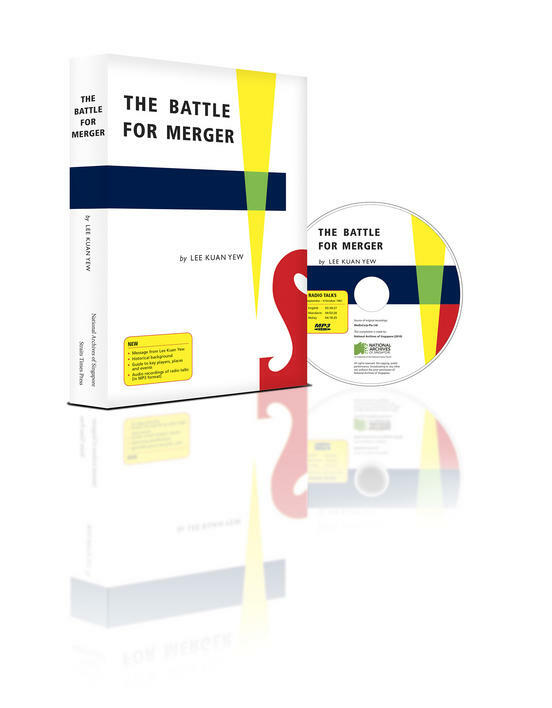 Photos from "The Battle for Merger". 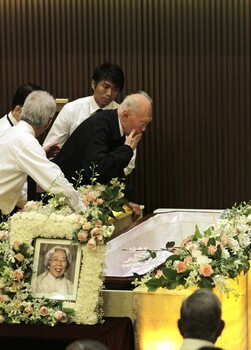 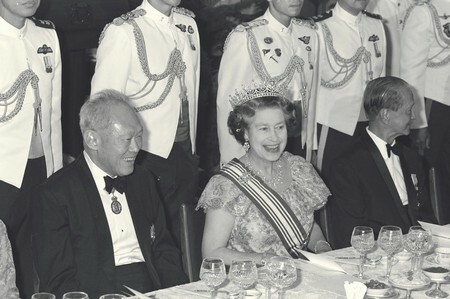 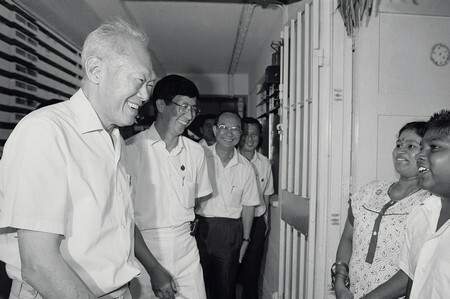 Here, Prime Minister, Mr Lee Kuan Yew, and the Minister for Health and Law, Mr K.M. 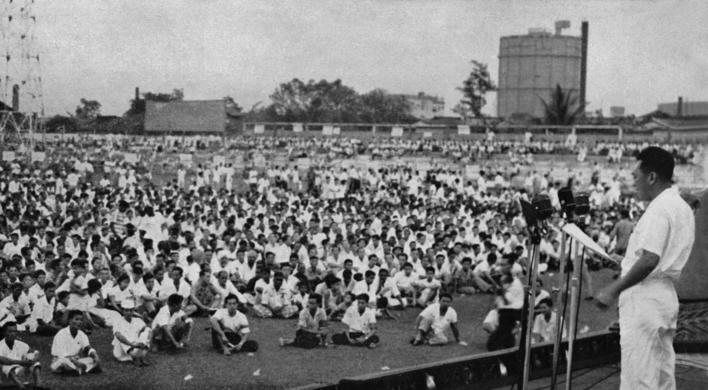 Byrne, (then Minister for Labour and Law) sit on the platform at the 1961 May Day Rally. 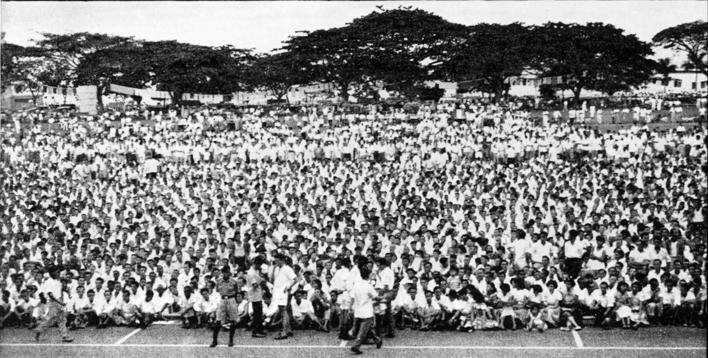 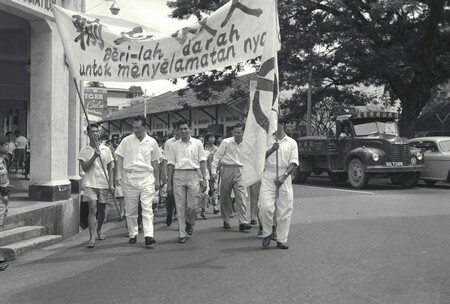 About 50,000 people gathered at the Padang on June 3, 1959 to cheer the victory of the PAP in the general election. 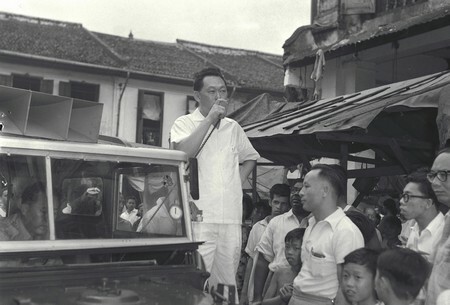 At an election rally on May 26, 1959, Lee Kuan Yew explained that the ultimate contestants in the battle for democracy would be the PAP and the Communists. 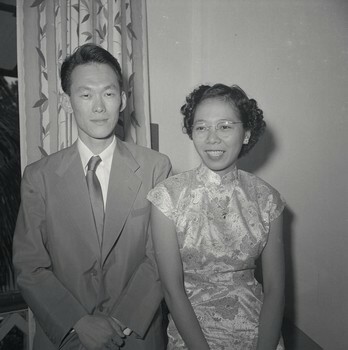 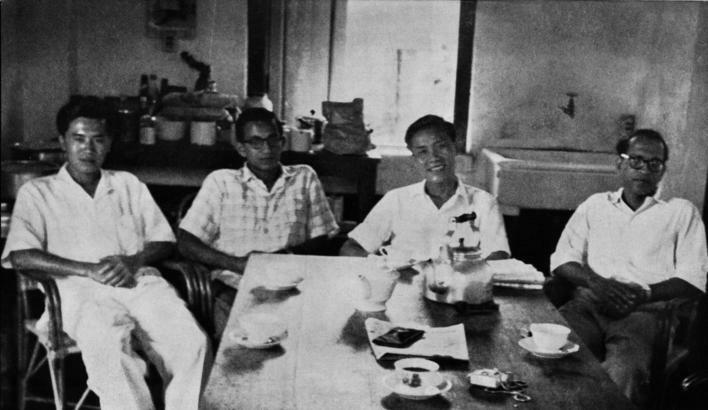 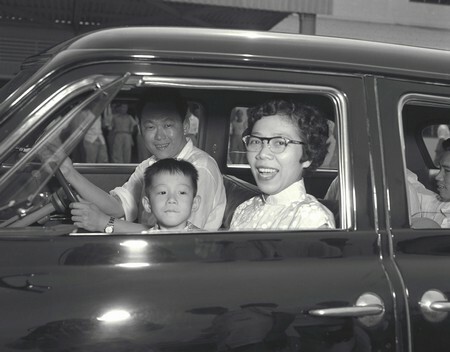 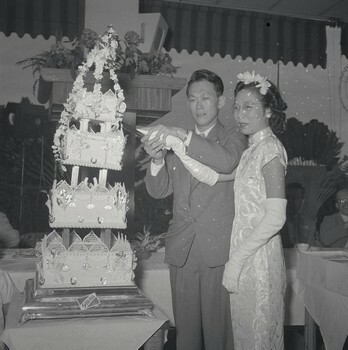 Left to right: Lim Chin Siong, S. Woodhull, Fong Swee Suan and Devan Nair at the St John's Island detention camp on Chinese New Year's Day, February 1959. 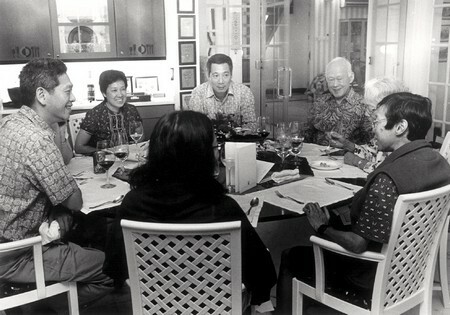 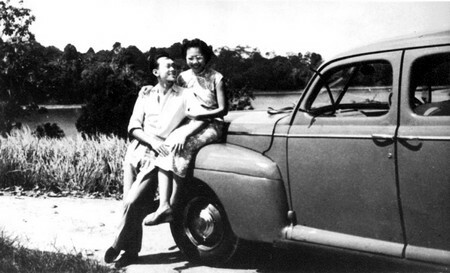 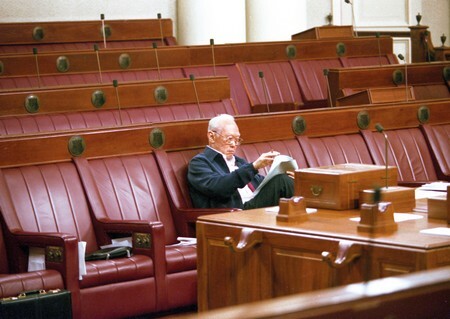 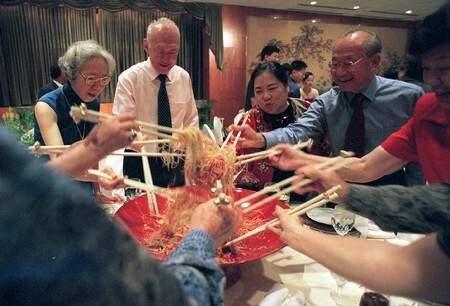 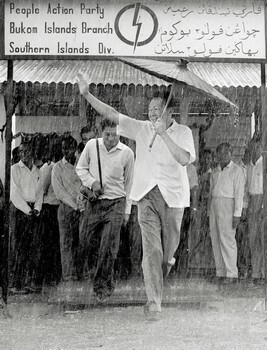 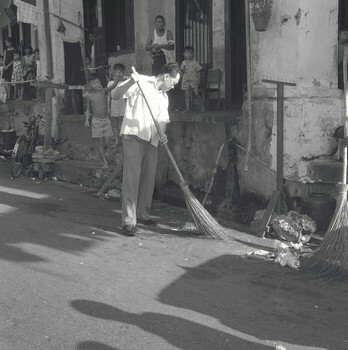 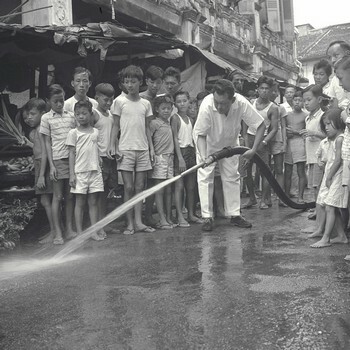 The picture was taken by Lee Kuan Yew. 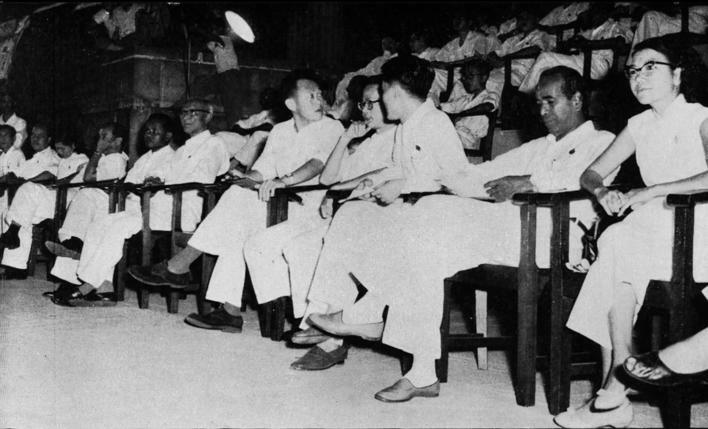 Communist delegates Chin Peng (centre), Chen Tien (right) and Abdul Rashid Mahideen at the Baling Talks. 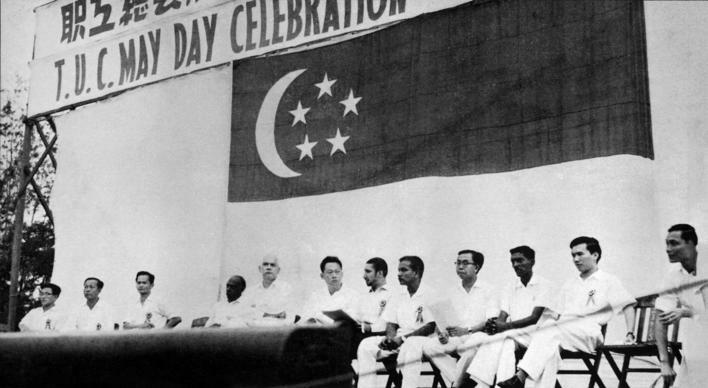 DPM Teo said Singapore's road to independence began with the attempt to merge with Malaya, a move that communists strongly opposed. 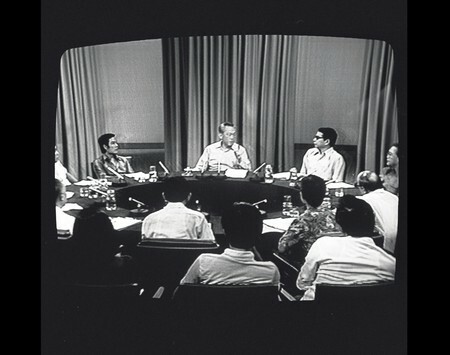 Mr Lee's radio broadcasts, which began on Sept 13, 1961, were pivotal in lifting the curtain on the communists and exposing their manoeuvrings. 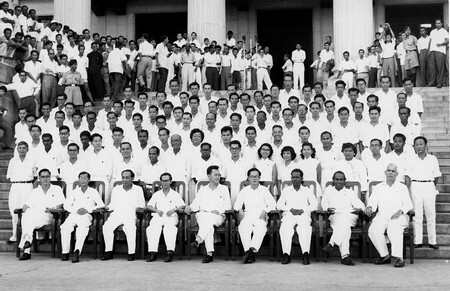 PAP leaders sitting on the platform at the Padang, where about 50,000 people had gathered on June 3, 1959 to cheer the party's victory in the general election. 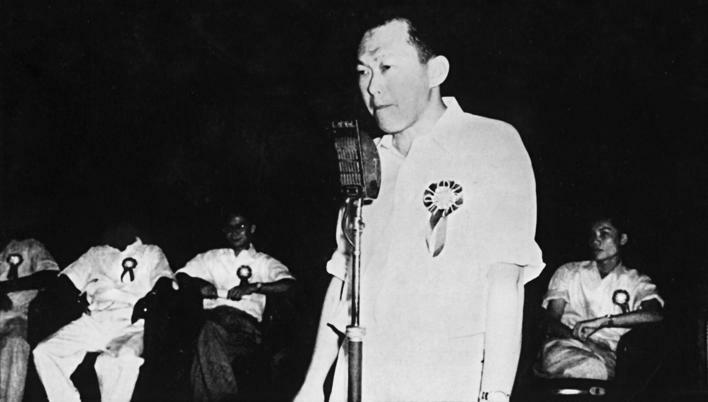 Mr Lee Kuan Yew addresses the inaugural meeting of the PAP held at the Victoria Memorial Hall on November 21, 1954. 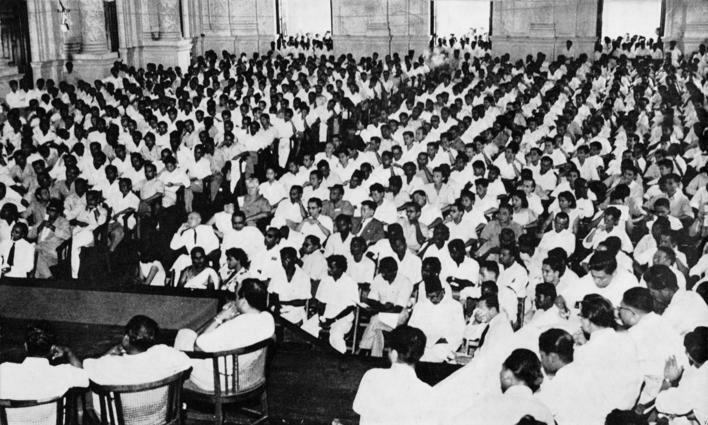 More than 1000 people attended the inaugural meeting of the PAP at the Victoria Memorial Hall on November 21, 1954. 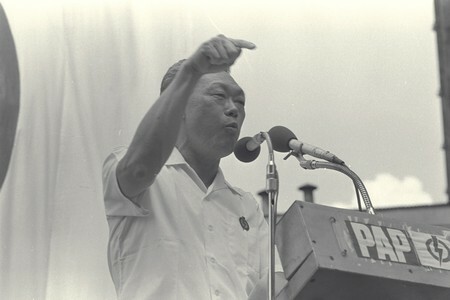 Prime Minister Mr Lee Kuan Yew addresses the 1961 May Day Rally at the Jalan Besar Stadium. 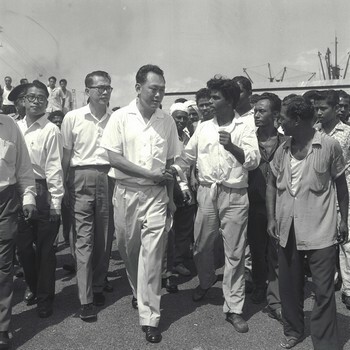 On this occasion he made it clear that the PAP government would not permit itself to be made use of by the British or by the Communists for their own selfish ends. 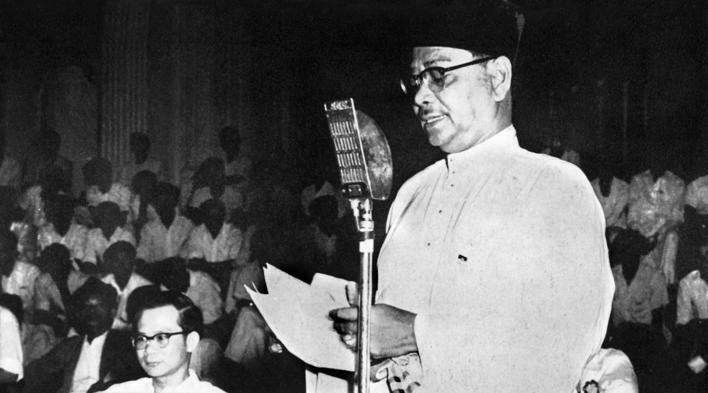 Tunku Abdul Rahman, President of UMNO and fraternal delegate to the inaugural meeting of the PAP, addresses the gathering, expressing his good wishes for the success of the new party. 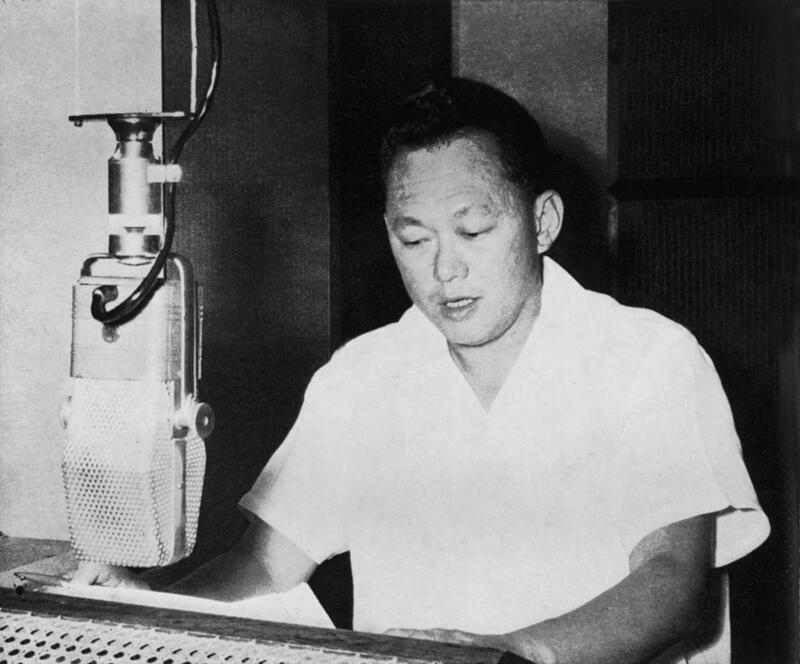 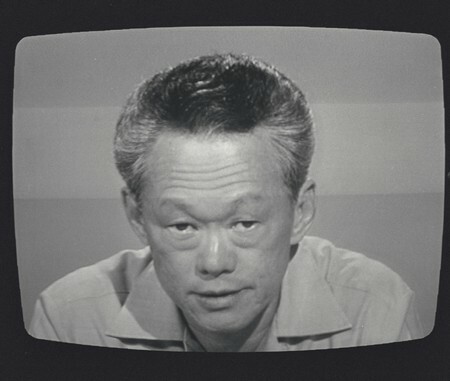 Prime Minister Lee Kuan Yew at the microphone at Radio Singapore. 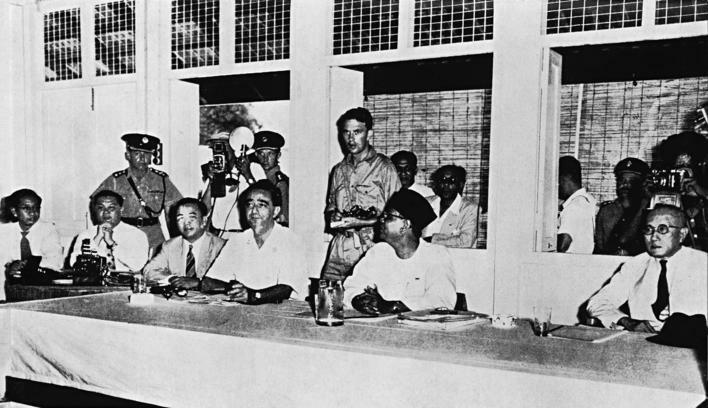 Tengku Abdul Rahman (centre), the Chief Minister of the Federation of Malaya, Mr David Marshall (left), then the Chief Minister of Singapore, and the late Dato Tan Cheng Lock (right) sit facing the Communist delegates led by Chin Peng at the abortive peace talks held in Baling in December 1955 to end the Communist revolt. 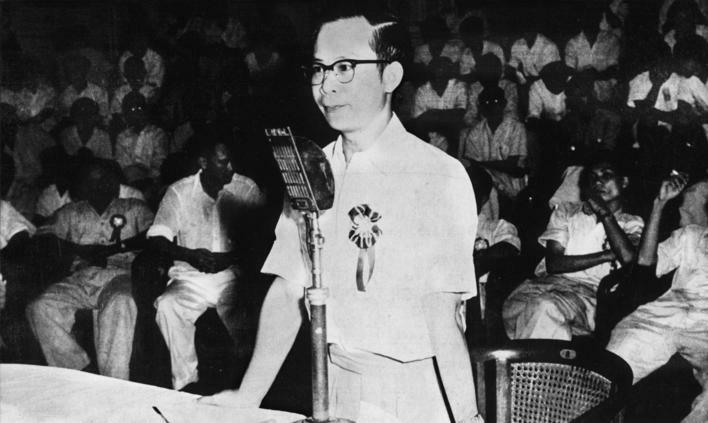 Dr Toh Chin Chye addresses the inaugural meeting of the PAP held at the Victoria Memorial Hall. 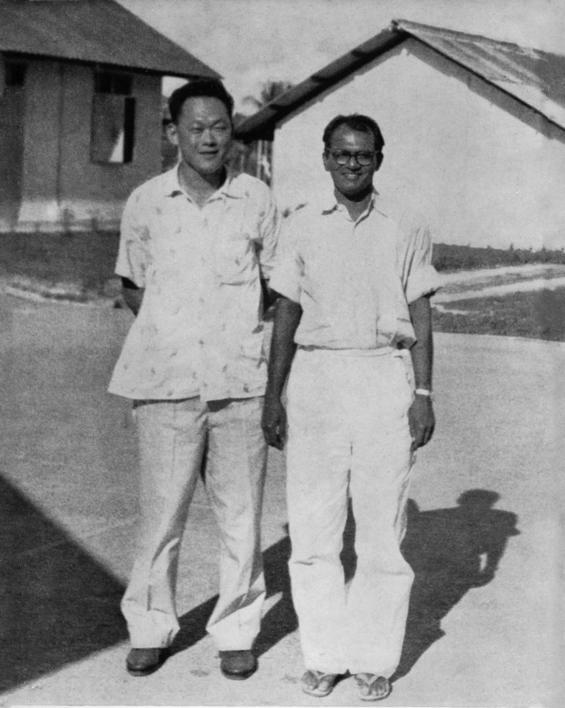 Lee Kuan Yew and James Puthucheary photographed in the Prison Camp grounds during one Mr Lee's frequent visits. 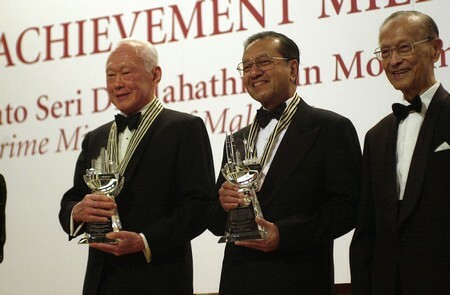 But PM Lee said: "The CPM was a violent, illegal organisation. 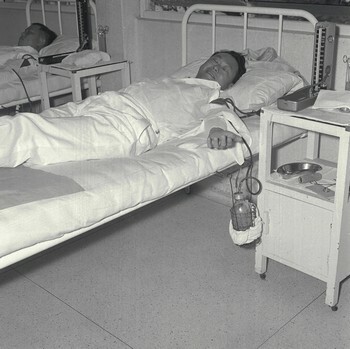 So it operated secretly, underground." 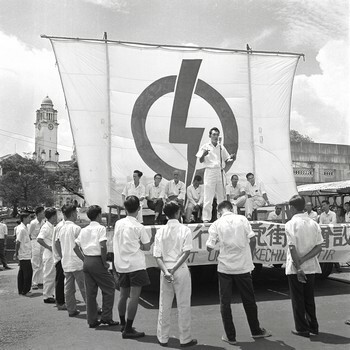 But the Communists infiltrated open, legal organisations such as trade unions, student associations and political parties. 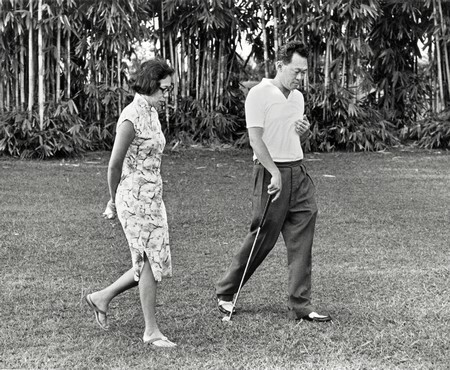 "These supported the Communist cause, but denied that they themselves were Communist. 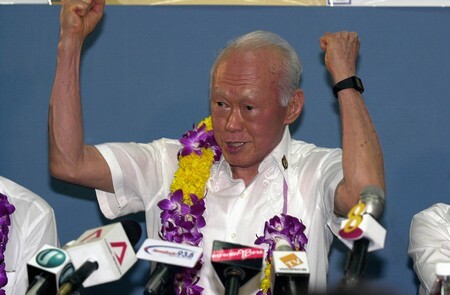 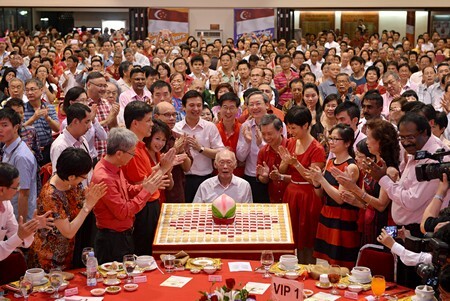 Mr Lee exposed this CUF (Communist United Front) tactic," PM Lee said. 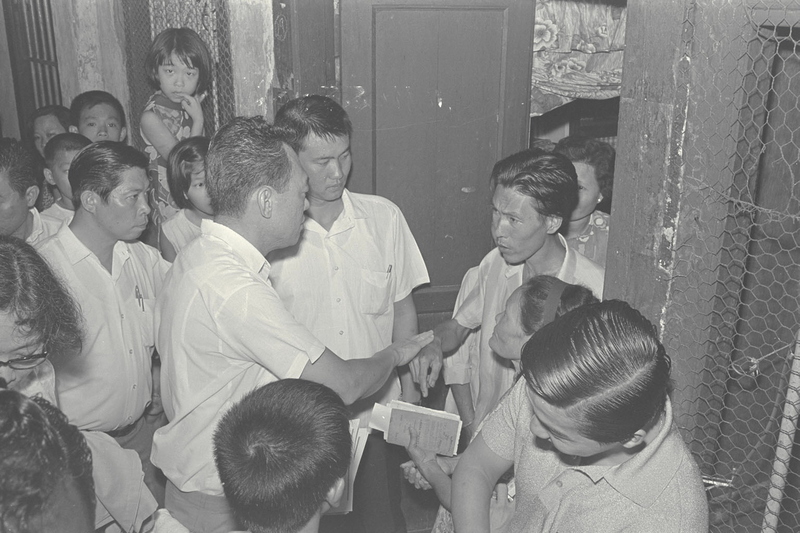 His post included photos of two original handwritten documents that he said showed that Lim Chin Siong was a communist, and that the Barisan was Communist-controlled. 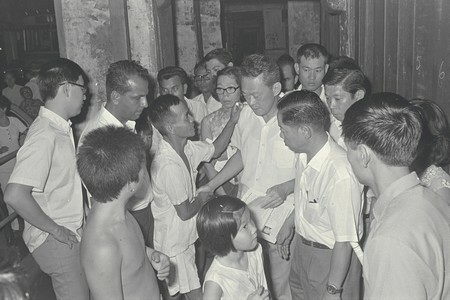 One was of a trade union document, signed "Lim Chin Siong". 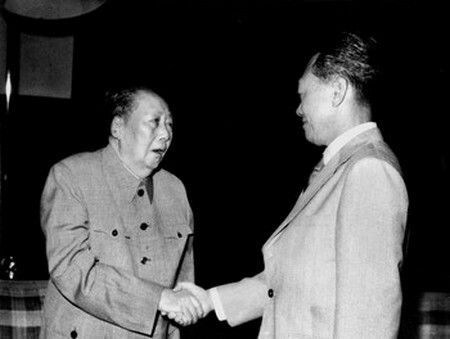 The other was a Communist study cell document, signed "Wang Ming". 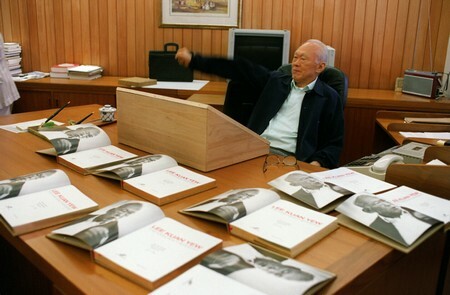 "The handwriting was identical. 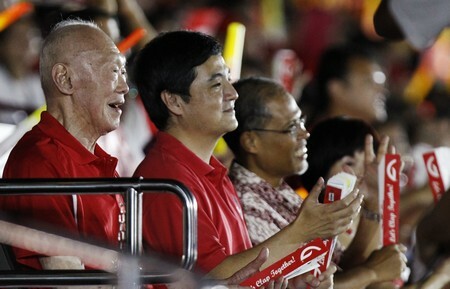 In fact Wang Ming was Lim Chin Siong's party name; Communist cadres took party names to conceal their real identities," he said. 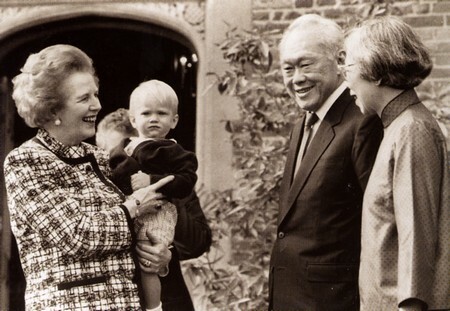 He added that the British have been declassifying archived documents and making them publicly available. 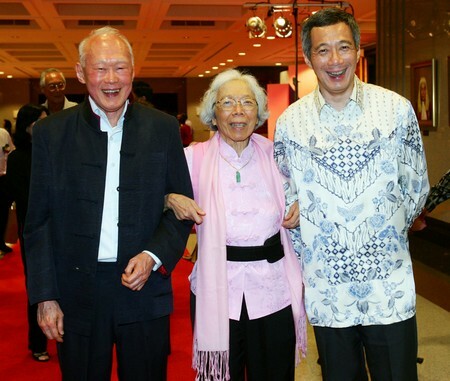 Senior CPM leaders like Chin Peng, Eu Chooi Yip, Fong Chong Pik - also known as the Plen - and others have published memoirs. 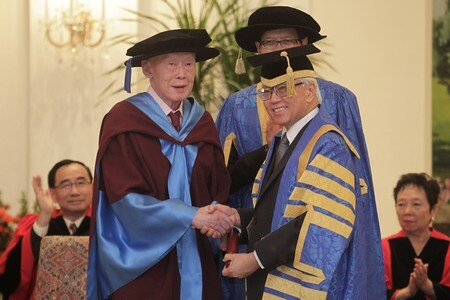 "Their first-person accounts, like the British documents, confirm the extent of the Communist United Front in Singapore, and leave no doubt that the Barisan was formed at the instigation of the CPM, and that Lim Chin Siong was a Communist cadre," PM Lee said.